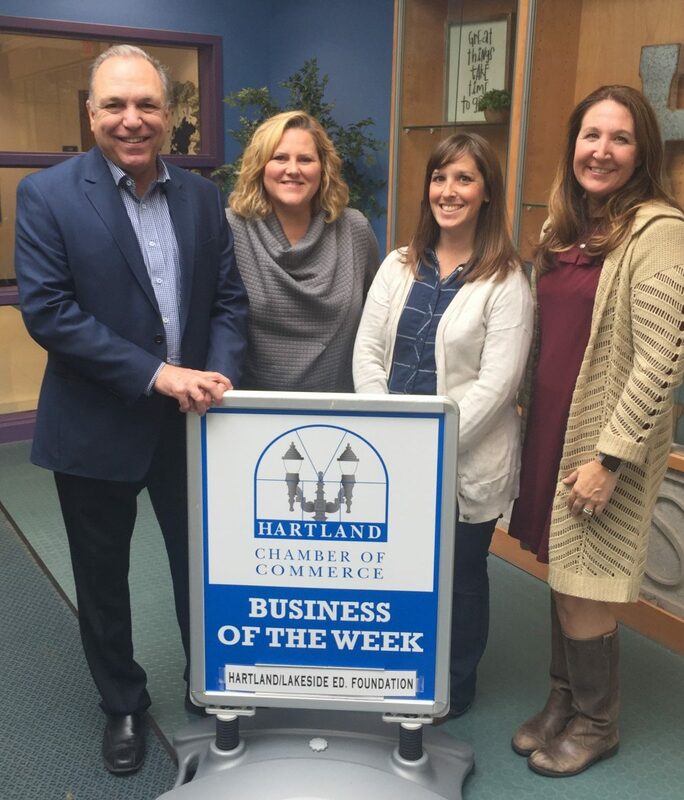 Pictured (l-r) representing the Hartland/Lakeside Education Foundation are Glenn Schilling, District Superintendent; Lori Ciesko, Foundation President; Tami Walker, Foundation Vice President and Heather Grindatti, Hartland North Principal. The Hartland-Lakeside Education Foundation works to support education and enrichment programs in the Hartland-Lakeside School District. The Foundation exists to provide financial support to the Hartland-Lakeside School District through fundraising activities as well as acting as a public relations liaison between the district and the community. The goal is to provide supplementary means to meet and exceed the educational goals through fundraising and donations from parents, alumni and the community at large. The Foundation collaborates with the district and it funds PTO activities and events at each school and provides Grants to teachers and Staff within all three schools in the district. The Foundation is a non-profit organization accepting tax deductible donations and company matching gifts to maintain excellence in the Hartland-Lakeside schools within the Hartland, Wisconsin community. Board members include Lori Ciesko, President; Tami Walker, Vice President; Elizabeth Heinke, Treasurer; Val Wisniewski, School Board Liaison; Maribeth Meeusen, Founding member; and Tiffany Cooley, Secretary. The Hartland-Lakeside Education Foundation can be reached at (262) 695-6742. Visit www.hartlakefoundation.com for more information. The Hartland-Lakeside Education Foundation has been a member of the Hartland Chamber for nine years.